Finland is a sparsely populated country in Northern Europe. With a population of just over 5 million, Finland may not have a huge total economic output, but based on a per person analysis, it has some of the highest living standards in the world (as does the rest of Scandinavia). With plenty of disposable income, it comes as no surprise that Finnish people like to bet, both on a recreational and professional basis, and they are known to have some of the highest turnovers in the world. Northern Europe is notorious for having draconian laws when it comes to gambling and online gambling in particular, as the governments in the region tend to see wagering as having a detrimental effect on society. Does Finland follow suit in this regard? What are the laws and regulations in the country, and do bettors have a good choice when it comes to choosing a sportsbook to play with? All is revealed. Although gambling had been around in Finland for hundreds of years, it took a step forward in the 1920’s when slot machines were imported to the country from Germany. Although this brought much excitement, private enterprises who were operating the slot machines were manipulating them and taking advantage of players. This unscrupulous activity caught the attention of the state who swiftly made the decision to only grant licenses for slot machines to charities. Despite this well-intentioned move, there was pandemonium and just a few years later in 1938, Rahaautomaattiyhdisty (RAY) was set up. RAY served as Finland’s slot machine association and not only did they regulate the slot machines, but they also started manufacturing them. Money was put aside to deal with any adverse social situations that arose out of problem gambling on the machines – evidence of Finland’s socialist character. While RAY covers the slot machine aspect of gambling, of course, there are other avenues that players can go down to strike a bet. Fintoto Oy was the horse racing pari-mutuel betting organisation, and again as well as regulating the industry, they repatriate funds into it, funding racehorse welfare and much more. Veikkaus Oy is the Finnish lottery, who also cover sports betting. Again they are essentially a non-profit, reinvesting profits into the arts, culture and sports. In Finland, there are several thousand islands located in the Baltic Sea and they are regulated by another organisation – Play Among Friends (PAF) bringing all of the different organisations on the islands under one jurisdiction. The explosion of the internet and the subsequent rise of online gambling caused some issue between the three regulatory bodies operating on the mainland and the PAF. Why was this? Well quite simply, because PAF were now able to operate on the internet and they started accepting and advertising to customers living on the mainland. As a result, the 2002 Finnish Act on Gaming was introduced to make the murky water a little clearer. The government granted RAY a monopoly over online gambling on the mainland, but they stopped short of making using PAF illegal. Essentially the Finnish government runs a monopoly on gambling. Being part of the EU, this didn’t sit well with lawmakers in Brussels and in 2010, the European Commission made a request for Finland to adjust their regulations in order to make the gambling industry in the country more of a free market. Despite the pressure from the EU, Finland has by and large kept things as they were. 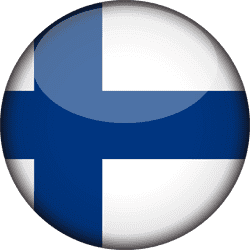 In 2015, Finland’s Ministerial Committee on Economic policy approved a merger of the three state-owned gambling operators; Veikkaus Oy, Fintoto Oy and Rahaautomaattiyhdisty (RAY). The goal is to have everything under the umbrella of Veikkaus. The first parts of the merger started in 2017. Most countries are dominated by conventional sports, but a favourite Finnish pastime is one many will not have heard of until recently. The sport of Pesäpallo is viewed by many to be the national sport of Finland, and an increasing number of sportsbooks are now offering odds on this niche sport. Pesäpallo was invented by Finnish athlete Lauri Pihkala back in the 1920’s after he had visited a baseball game in the USA, and it can be described as being similar to baseball in many regards, as the premise of the game involves hitting a ball and navigating through four bases. The fundamental difference between Pesäpallo and baseball is that the ball is pitched vertically and the thrower is situated very close to the opposite team member trying to strike. Domestically, the top tier of competition is the Superpesis, which comprises of 14 teams in the men’s league and 12 in the women’s league. The Pesäpallo World Cup was first played in 1992, and in nine tournaments, Finland has claimed gold in every single category each tournament – the Men’s, Women’s and Mixed teams. Some other countries who have tried to compete with the Pesäpallo kings are Sweden, Germany, Australia, Switzerland and Estonia. Although football is the most popular sport in Finland in terms of hobbies, it actually falls behind ice hockey for viewership on TV. While the men’s national team have yet to reach first place on the podium in the Winter Olympics, they have amassed two silver medals and four bronze’s from a total of 16 games. The men’s team are considered one of the ‘Big Six’ – the commonly perceived elite group of nationals when it comes to ice hockey. Finland uses the Euro as their currency, which is great for bettors from the country, as it gives them a plethora of options when it comes to choosing their bookmaker. Of course, they could potentially use other currencies if theirs was not listed on the different sportsbooks, but there are often poor exchange rates/charges etc. when using different money. As mentioned, Finland runs a state-owned monopoly with the newly merged companies now all under the name of Veikkaus. If Finnish players want to stay loyal, they can get everything they need at the site. As it stands, most bettors actually use other European sportsbooks due to the increased choice and better odds. The most popular sportsbook amongst Finnish punters is UK based Bet365, and other popular firms who deserve an honourable mention are Swedish firm Betsson, Pinnacle Sports, 1Xbet and Unibet. All of these sportsbooks welcome Finnish bettors with welcome arms and although Finnish is not a widely spoken language, certain firms such as Betsson, 1Xbet and Unibet all offer their website in the Scandinavian language. The minimum deposit amount is usually somewhere between 5-20 Euro depending on the bookmaker. Good news for Finnish bettors. Although land-based casinos such as Casino Helsinki has to pay taxes, players are allowed to strike wagers without having to worry about sharing their profits with the taxman, unless they are playing the lottery. Those sports enthusiasts betting online can rest easy. Although the monopoly over gambling held by the Finnish authorities has been criticised by citizens of the country and the EU, it looks like it is here to stay. However, the lengths that the government go to in order to prevent citizens betting abroad are not that big; for instance, although foreign firms are not allowed to advertise their websites in the country, there are loopholes which allow them to do so in certain publications. Foreign sportsbooks are not banned on Finnish computers and there is no real punishment for betting with a foreign firm. In reality, the government are far laxer than their neighbours when it comes to letting their citizens bet. Betting with offshore firms is here to stay, and with Finnish people being some of the most avid gamblers on the planet, the sportsbooks around the world will be keen to keep their doors open to the Scandinavians.